Sorry I didn't send you the watches yet. I was waiting for the Pulsar diver to turn up, so as to send that as well. I thought of using it as a donor, but now it's here, I quite like it! 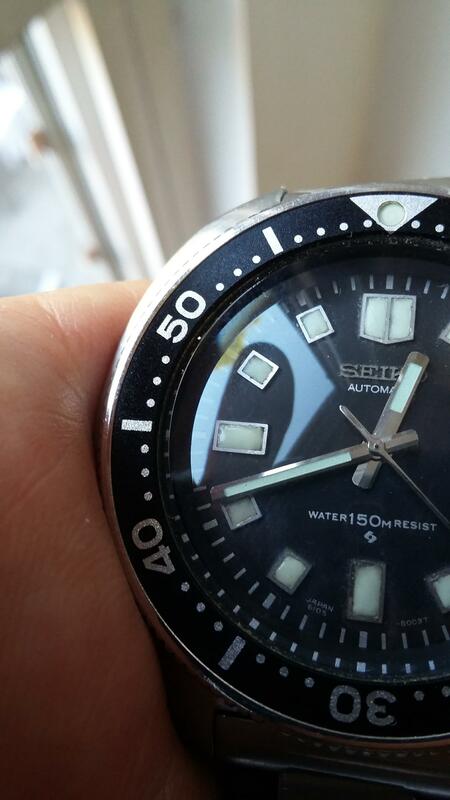 The battery spring is broken, the crown doesn't turn the hands or date, and I'm pretty sure that someone has already been 'inside' as the chapter ring is horribly misaligned. What's the availabiity of 7548 parts like: I mean inserts, hands etc? Is it a rocking horse sh%t situation? I'm in Bristol, UK and am interested in your 7002. - Why are you selling? 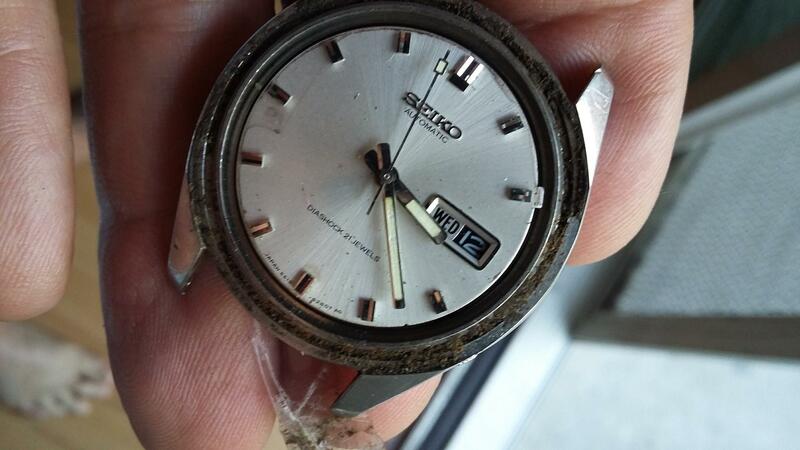 - Who did the service work, whwn and what was done/ replaced under the dial if anything. Where are you located? I'm in Southern California. I teach middle school, and right now it's my summer vacation, so I must live off my savings until September. How much do you charge? If it's a lot I'd have to wait until the fall. I'd just keep the AM second hand by the way. I can't tell the difference, and once the lume is matched, I doubt anyone else could either. 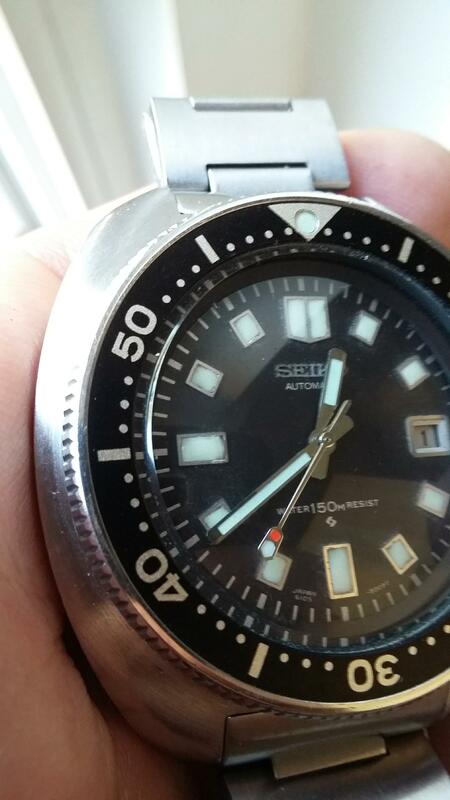 Notice that the lume does not fully fill the frame. Do the frames need to have the old lume picked out, or lume be added to fill the corners? Please give me your opinion.